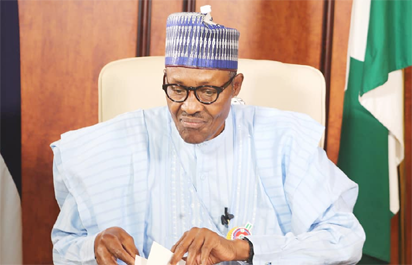 President Muhammadu Buhari has said millions of people from all parts of the country will join the ruling All Progressives Congress, APC, in the next few months. Buhari said this in a letter he sent to Basheer Mohammed, a former senator, who recently defected to APC from the Peoples Democratic Party. The letter dated January 25, 2018, and entitled ‘Re: Declaration for APC,’ was a response to an earlier one written by Mohammed. The letter read: “I was most delighted to receive your letter informing me of your impending decision to formally declare for our great party, APC. “Furthermore, I am very encouraged to learn that you are bringing thousands of new supporters into the fold. We are expecting millions to join us in the next few months. Buhari is yet to publicly declare for the 2019 election but there are clear indications that he would run. Last week, his campaign office was inaugurated in Ibadan, Oyo State. The post Millions of people’ll join APC in few months—Buhari appeared first on Vanguard News. 2019: Has Oshiomole triumphed over the governors?